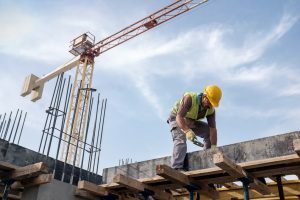 A common premises liability case in Pennsylvania and New Jersey is a slip, trip, and fall accident case. A slip and fall occurs when water, a slippery substance, debris or another type of foreign object causes your feet to slip from underneath you. A pedestrian may trip and injure themselves on a sidewalk, staircase, in a parking lot, or due a failure to clear the ice and snow off walkways. If you or someone close to you has been a victim of a slip & fall injury, and the cause of the injury is related to the negligence of the property owner to maintain a safe environment, we can help and will fight for you to provide the counsel required to pursue the compensation you will need and you deserve for the road ahead. The experienced slip and fall lawyers at Kamensky Cohen & Riechelson can provide you with the knowledgeable advice and advocacy you need during a time where you may not know what to do our where to turn. Contact us online or by telephone, at 609.528.2596, to arrange a consultation with one of our knowledgeable premises liability lawyers. The viability of a case may vary from state to state. It is important to understand the difference in state law from New Jersey and Pennsylvania, specifically as it relates to ownership of the property and number of families or individuals that occupy the dwelling. In Pennsylvania, the laws and regulations are similar as it relates to commercial properties or multi family dwellings. Although residential single family home owners do not have the same maintenance obligations as apartment building, condominium and commercial property owners and managers; unlike New Jersey they still can be held liable for an accident or injury that occurs on their property under certain circumstances. Pennsylvania and New Jersey are slightly different on slip and fall cases when it comes to, say ice and snow. Pennsylvania has a requirement called the Hills and Ridges Doctrine which means that the snow can´t be fresh snow. It has to have bumps or lumps, something like that to show that it existed for a period of time and someone went through it. The law is slightly different when it comes to commercial establishments in Pennsylvania. They have what’s called the Business Invitee Rule, and in Pennsylvania Business Invitee is owed the highest duty under the law; so if you go to a shopping center or someplace that’s a business, they have an obligation to you to clear the sidewalks, to clear the parking lots and to make sure that there´s not ice and snow. New Jersey has similar requirements but not quite as strict as Pennsylvania. New Jersey Law protects owners of single family dwellings from being held liable for a slip or trip and fall accident on their property. Due to the fact that a single family home is not a commercial property, in existence for the purpose of making a profit, the owners and their families are not held liable for keeping the property safe the same way that a landlord, business owner, or employee of a business in a commercial property have the obligation to keep the area safe for individuals that may be walking through and/or doing business there. According to New Jersey law, if you have an accident on a single-family property, the property owner cannot be held liable for your accident. Why not? Because unlike a commercial property, where the owner and staff can be held responsible, a single-family property owner does not have a duty to keep the area safe for visitors. The commercial property’s purpose is to create a profit and because of this, it is the responsibility of that property owner as well as the employees to make sure the area is safe for its customers. A single-family property owner does not have the same responsibility and therefore, is not responsible for your accident. However, it’s a different story when it comes to a slip and fall accident in an apartment building, condo complex, or any other type of multi-family dwelling in New Jersey. Yes, the residents are not responsible for any accidents on the property. Yet, the same cannot be said for the owner of the multi-family property. Since the owner is getting a profit from those living in the building or complex, the owner and any managers of the property are responsible for keeping the area safe. So if you have a slip and fall accident while visiting a friend at his/her apartment complex, you can sue the property owner for liability. Either clean up a spill right away or put a wet floor sign up just as quickly. Walkways and hallways should always be kept free of clutter, debris, snow, ice, etc. Cables and cords should be taped to the ground. Maintain working lights and replace light bulbs right away. Replace word flooring and consider replacing with abrasive floor mats. Do not hesitate to consult with an experienced personal injury attorney as soon as possible. You only have a two-year statute of limitations before you lose your right to sue for compensation for your medical bills, lost wages and pain and suffering. Under the law, you might be entitled to reimbursement for medical costs you incur as a result of an injury due to a fall. You might also be entitled to compensation for pain, suffering, life changes and/or missed work, depending on the cause and circumstances of the fall. Our roster of personal injury lawyers includes experienced senior attorneys who have been litigating and/or negotiating personal injury claims in Trenton, Princeton, Hamilton, Bensalem, Philadelphia, and across Mercer County, Bucks County, and Philadelphia County for more than 40 years. If you or someone close to you has suffered a slip & fall injury due to property owner negligence, at Kamensky, Cohen, and Riechelson we are able to help you pursue compensation for your losses. Contact us online or by telephone at 609.528.2596 to arrange a consultation with an experienced New Jersey premises liability attorney. Kamensky Cohen & Riechelson is a firm oriented toward results and comprised of skilled negotiators and tenacious litigators who know how to win in the courtroom. We won’t back down. Our team of attorneys includes a certified trial lawyer who has been selected for inclusion in the prestigious NJ “Super Lawyers,” which means they are in the top five percent of all New Jersey lawyers. If you are seeking an experienced personal injury or workers’ compensation attorney, Kamensky Cohen & Riechelson is the right choice for you. Led by Jerrold Kamensky, our accomplished and top notch team of attorneys has a proven record of success in helping injured people and their families obtain fair and just financial compensation for their losses. Contact us online or by phone at (609) 528-2596 in New Jersey or (215) 337-4915 in Pennsylvania. At Kamensky Cohen & Riechelson, our dependable lawyers have significant experience handling personal injury claims for clients across New Jersey and Pennsylvania. We will work with you personally to guide you through the legal process, keeping you informed every step of the way so that you know exactly what is happening with your case. Our goal is to help you obtain maximum compensation for your losses. However, it’s important for you to know that there is a statute of limitations on your right to sue after suffering a personal injury. You must file your claim within two years of the date your injury occurred or you will lose the right to sue. Contact us online or by telephone to arrange a consultation with an experienced Pennsylvania and New Jersey personal injury lawyer. As always, we take the majority of cases on contingency. This means, if we don’t win, you don’t pay. This law firm started about 42 years ago, we’ve been a personal injury firm since the first day we opened. All three partners in this firm are licensed in both Pennsylvania and New Jersey. We have been able to do was maximize the benefits to each state’s laws for clients best interests. You may have a New Jersey driver be involved in Pennsylvania accident and there’ll be different interplay between the insurances in both states. Because we take a team approach clients need us get those insurance companies to pay the claims. Every one of your cases is discussed with all three of us with all bring different perspectives different tactics and different intellect. Our job as your lawyer is to bring you the best results that you need, call us come in, we’ll determine whether not there is viable claim we can pursue. Hiring the correct attorney could make all the difference in the world toward gaining a successful and satisfactory resolution to your claim. If you or someone close to you suffered a serious personal injury or has a claim for workers’ compensation, the experienced attorneys at Kamensky Cohen & Riechelson are here to help you pursue just financial compensation for your losses. Contact us online or by phone at (609) 528-2596 in New Jersey or (215) 337-4915 in Pennsylvania. One of our knowledgeable attorneys will be happy to answer your questions and advise you on the most effective legal options available in your case.